Don't expect to lie around the sun, lazily sipping cocktails and passively watching hula dancers, because the tactical game Hawaii is not a paradise for idlers, but rather for bold, active strategists. 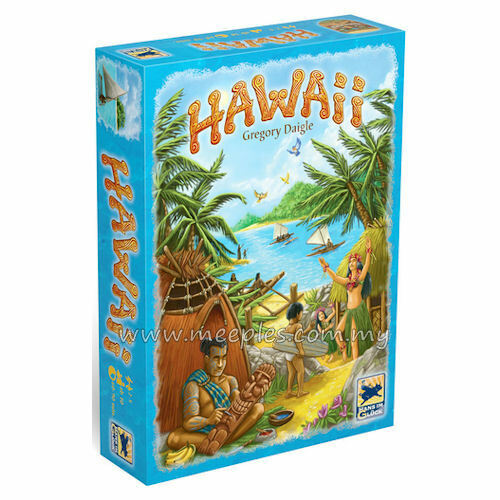 Restlessly, players will move their pieces on the game board, facing constant challenges in terms of making their beautiful villages on this beautiful island as profitable as possible. Only those who will be able to use their dwindling resources to meet the increasing demands over five rounds will find a spot for themselves on the beach.